:: NikG* Life + Style ::: Bob. I posted this picture on Instagram a couple days ago, and just thought I'd let you guys know where to get this Bob Marley t-shirt, in case you're interested. I bought mine for $12.99 in store at Target, but they are on sale for 10 bucks on Target's website! This is a men's shirt. I bought it in size small and then cut the neckline into a boatneck shape--and that was it! Grab them while they're hot! 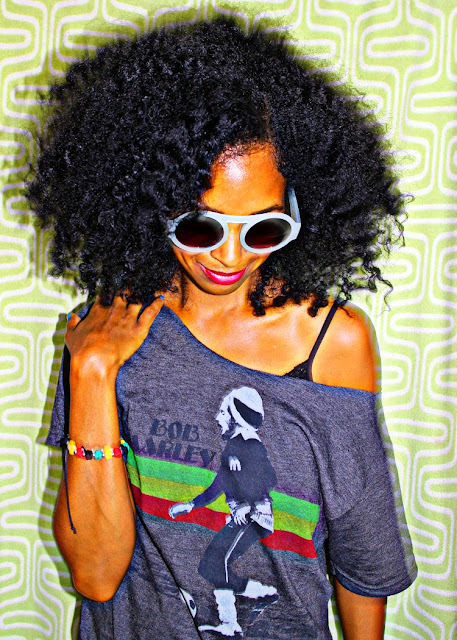 Bob Marley Tee found HERE. you look so pretty! and love the new blog design!! Yea, I've been tinkering with the design, but I think I'm going to have it "professionally" done real soon! 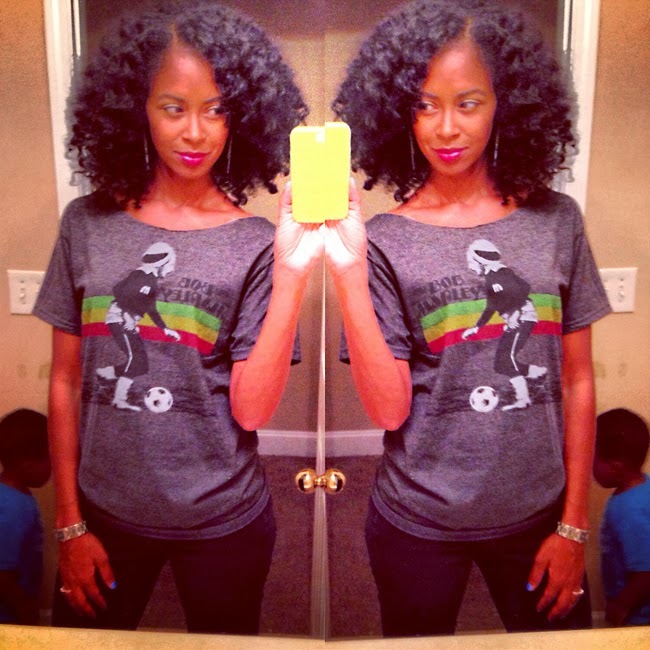 Love your hair and the shirt! Loving that t-shirt but your hair so fresh! Thanks for linking up to That's Fresh Friday and sharing! I love the look of the blog now!! And your shirt is killer. Cute shirt & your hair is so pretty! My hair was big like that but I recently locked it up 4 months ago! too much work for me im a new mommy! You look great in that photo. Thanks for sharing where to find the t-shirt.